These strands are built to be used with pixels trees. They are a 100 count pixel strand with a males connector and a 10ft lead. This lets you hook the lights up to the controller without any additional spacer wires. 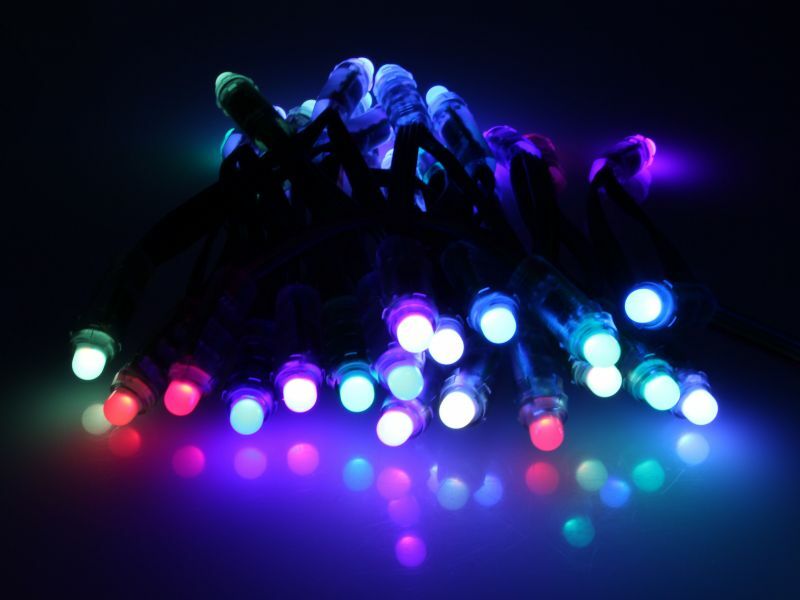 Lights are 18AWG and use a WS2811 IC chip. Lights are spaced at approximately 4 inches.